Digital Ocean, New York-based cloud computing infrastructure provider will soon set up a data centre in Bengaluru and it will offer tailor-made solutions to startups, individual developers and other non-enterprise clients. “Currently there are no simplified and tailor-made cloud computing solutions to individual developers and startups who do not fit the target profile of large cloud solutions providers. We aim to cater to this niche segment with our solutions where they can launch a virtual server in seconds,” said its COO Karl Alomar. He said India’s vibrant startup community with ever rising startups – 4,000 in 2015 – and considering the software developers to touch five million by 2018, DigitalOcean’s solutions are best suited for them to be taken up at an affordable price point of USD10 per GB of memory. Software as Solution (Saas), SMBs, Bigdata and Adtech companies are also its target group. The company pricing model for Droplets (its virtual servers) is the same for US and India, available between USD 5 to USD 640 for various combinations of virtual servers. “Digital Ocean will invest USD5 million in India in 2016 to set up its 12th datacentre and hire five to 10 employees in Bengaluru,” said Alomar. The company’s cofounder Mitch Wainer said players like Amazon Web Services, Microsoft Azure and others solutions are overwhelming for developers and startups and cater to larger enterprises. 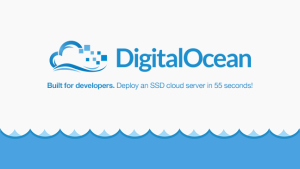 “Key differentiators from DigitalOcean are simple control panel, active developer community, professional hosting starting at USD 5 per month, solid state disk (SSD) only cloud, one click installations and Linux distributions,” he said. The company has six lakh clients globally and 58,000 in India as of December 2015. E-commerce player Flipkart is one of its Indian clients.